It was a beautiful and warm Thanksgiving week, with an extra few days of rest from work but otherwise busy with cleaning, errands, cooking, eating and shopping. Today is my first day back to my garden, which is still chugging along despite periodic squirrel attacks. Luckily, most of my pea, green bean and napa cabbage sprouts are 4″ tall now so they hold out better. 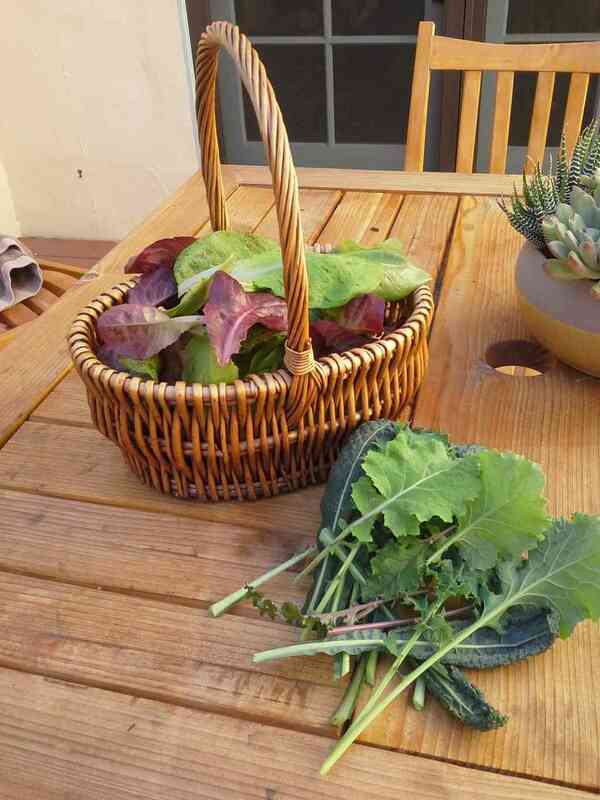 I had a bounty of lettuce pickings this morning and a handful of kale. I think the lettuces will keep going but my kale’s tired of the drama and are slowing down production. I’m hoping for a good crop of napa cabbages and chinese broccoli in a month and maybe some Chistmas peas from my first batch. My second batch probably won’t be ready until after the new year. This weekend’s planting duties include potting my coffee plant and putting beet seedlings, potatoes and chives in the garden. I meant to do it earlier in November but got distracted with other things along the way. Time has been quite swift as of late. I think gardening has contributed to that little as I now think of time in veggie seasons and germination/maturity rates. Since I have to think a few weeks or months in advance, time seems to go by much quicker, except if I’m thinking of leeks, which seem to take forever and a day. If I’m very ambitious, I may start some more radish and carrot seeds. how exciting! I wish I had some young greens to pick, but we are getting cold nights up in Portland, often with a light frost on the ground. Thank you! We are excited too. We weren’t able to grow any lettuce this Spring because of the heat so we are going to try and eat our fill of lettuce this winter. Stay warm! 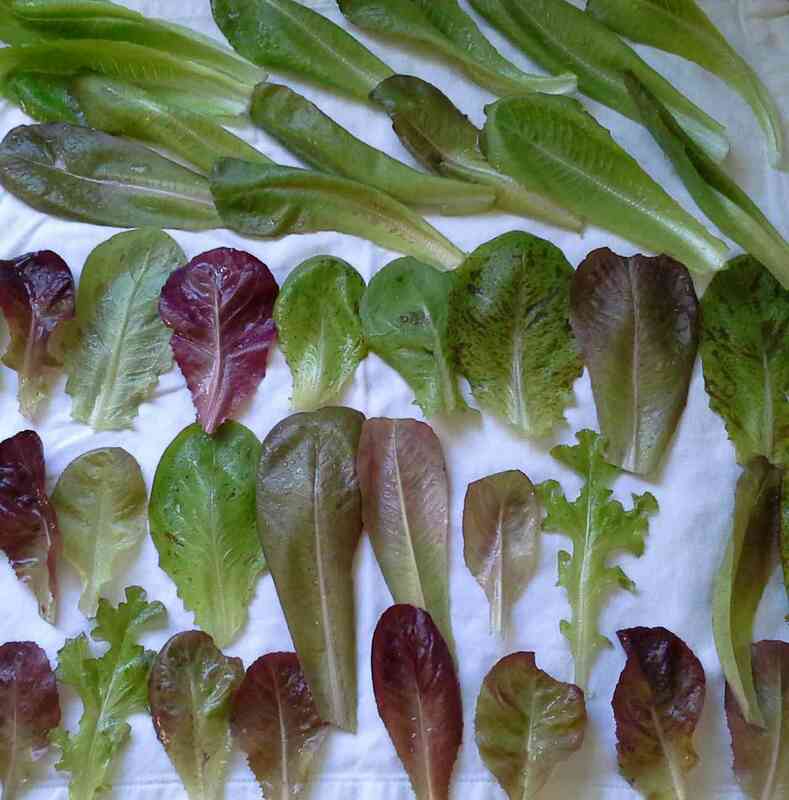 Beautiful lettuce leaves, it is a joy to pick them from the garden again. 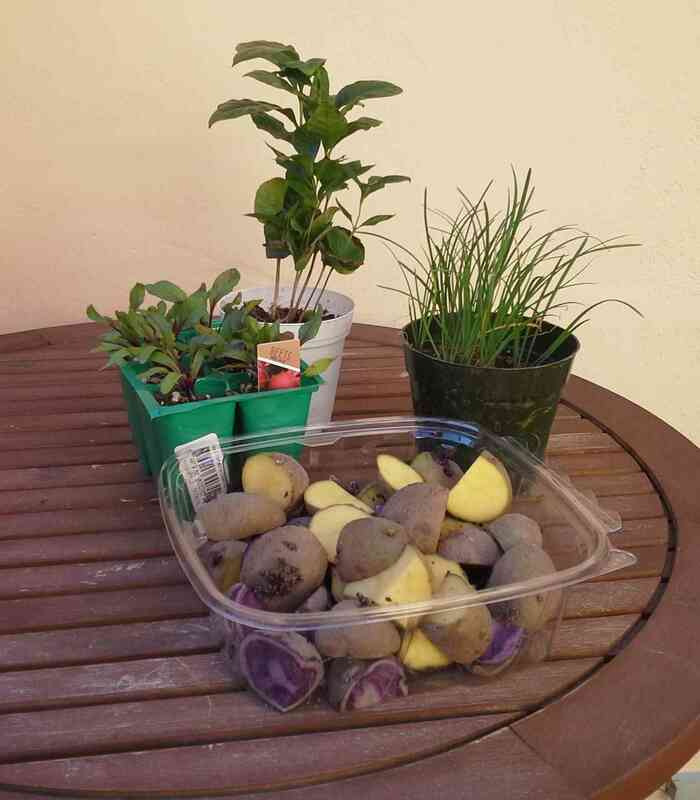 Do you plant your potatoes in a container? I haven’t grown them for years but may again this season. Last spring, I planted them in the ground where a small concrete pond used to be but it was out of the way and difficult for me to water. This time I am using four 15-gallon “smart pots” as I think it’ll be easier to fill up with dirt as the potatoes grow and much easier to harvest. Plus, I really like being able to move my containers around. It’s like musical chairs of the garden world!